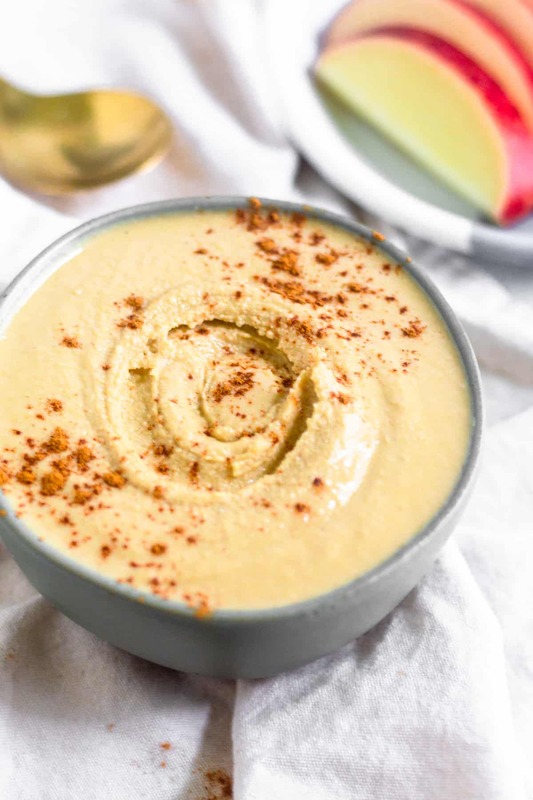 Sweet & salty healthy homemade cashew coconut butter perfect for spreading and dipping on just about anything. 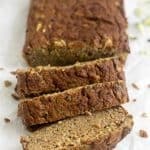 Paleo, vegan, and Whole30 approved! I go through phases in my nut butter consumption. While I always have multiple jars in the pantry at all times, sometimes they get forgotten about for a while. During my last couple rounds of Whole30 (2016 and 2018 were my most recent ones), my nut butter consumption goes way up. If you don’t know what nut butter is, think peanut butter, but with different nuts. Yes peanut butter is good, but cashew or almond butter? So bomb. Really any nut will do the trick. Nut butter is an easy way to get in some good quality healthy fats (without overdoing it) and add a little sweetness to foods. Here is a little funny story about nut butter. A few years ago I was heading back east for a family vacation and asked my mom to buy a few things that I eat on the regular. I asked for almond butter and she texted me she couldn’t find it at the store. Turns out she was looking in the butter section (like butter made from dairy) instead of the nut butter section. LOL. Gotta love parents. 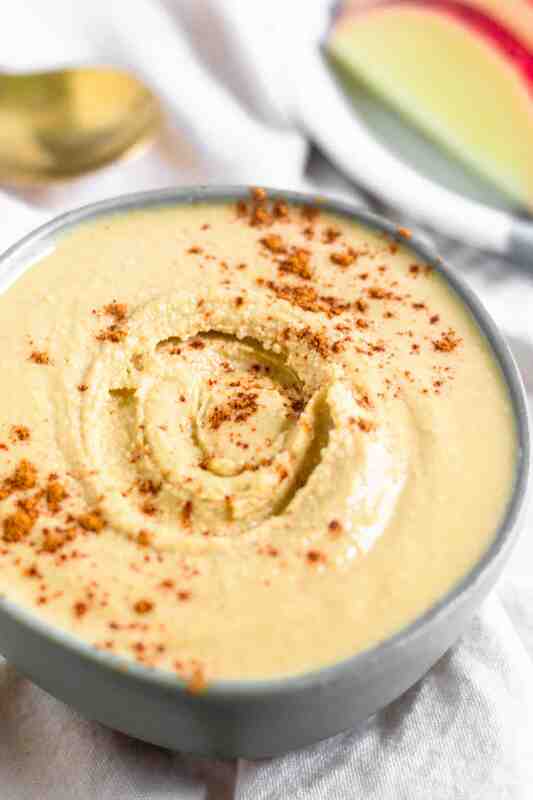 This recipe was inspired by Nikki’s Coconut Butter Cashew Cookie Butter. I tried it at Paleo f(x) a few years ago, fell in love, and immediately bought a jar. The concept it easy enough so I just figured I would make my own cashew coconut butter, but just simplify it a bit! 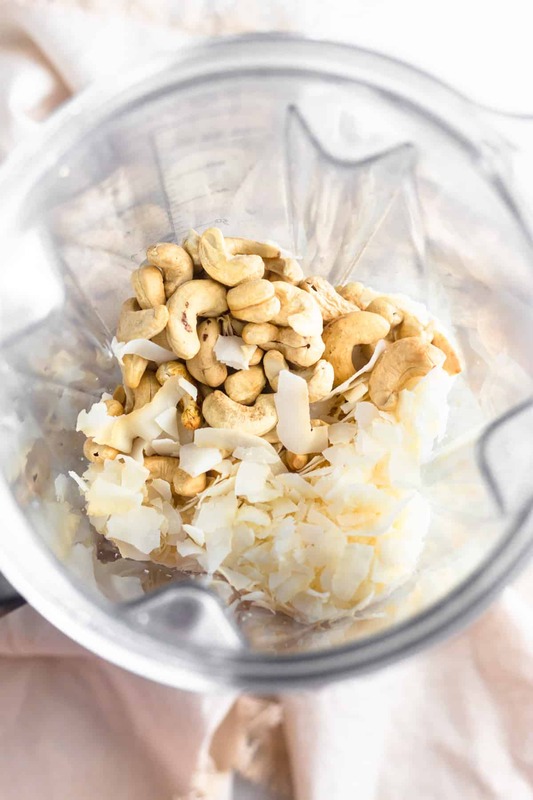 All you need is cashews, coconut flakes, salt, and a high powdered blender or food processor. 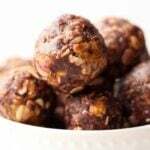 I used my Vitamix and in about 8-10 minutes and you have a creamy, sweet, and healthy snack. I opted to slightly toast my cashews in the oven to add a little more flavor, but it is totally optional. Cashews are a bit softer than most nuts, but you will still need a high powered blender or food processor to make homemade nut butter. The most important thing you need in making this recipe though is PATIENCE. 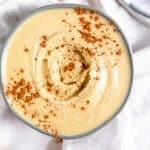 It takes a long time to get the cashew coconut butter into the thick and creamy consistency you are used to getting in the grocery store. I would said mine took around 8-10 minutes. The longer you go, the more creamy it will get. Also, make sure you are stopping every once in awhile and pushing down the residue on the sides towards the blades. Storing homemade nut butter is just like storing nut butter you get from the store. I keep my in a tightly sealed glass jar in the pantry for up to a month or two. You can also keep it in the fridge, but it wouldn’t be as runny when you take it out compared to if you stored it in the pantry. 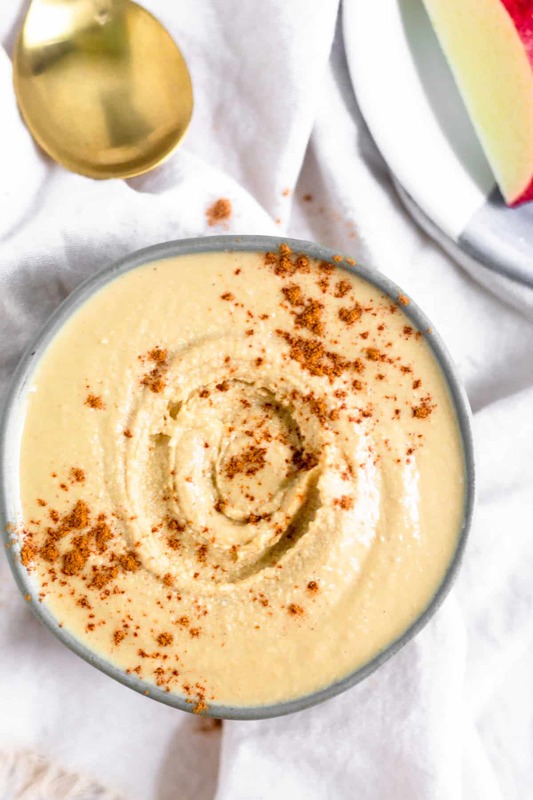 I love this cashew coconut butter because besides the fact that cashews taste amazing, they contain magnesium, calcium, phosphorus, potassium, copper, and selenium, and are slightly lower in calories than other nuts. About half of the fat in them is heart-healthy monounsaturated fat, which is associated with lower level of heart disease and cancer, and longer life spans! Coconuts also contain MCT fatty acids, which are easy to metabolize and used for energy rather than stored as fat. 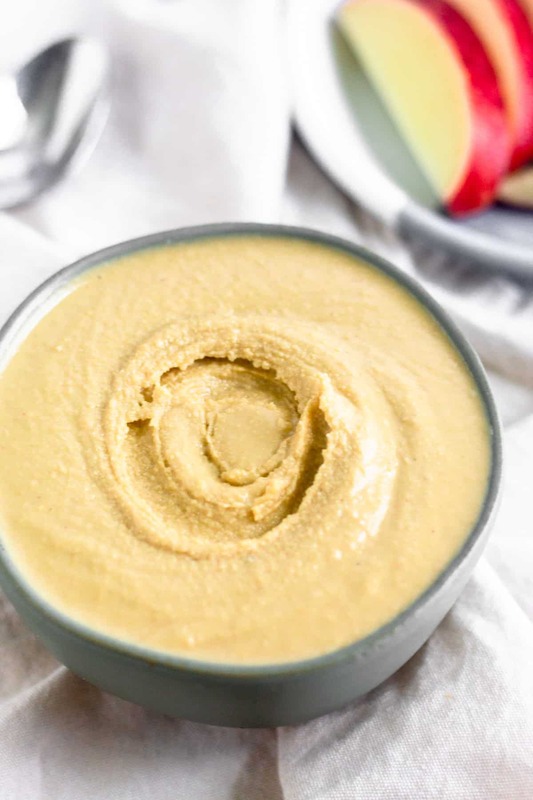 This cashew coconut butter makes for the perfect snack and the possibilities of ways to use it are endless! 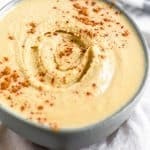 Add it to smoothies, use it as a topping or dip for fruit, in oatmeal, on toast or sweet potato toast, or even just eat it by the spoonful (my favorite way)! Optional - Preheat oven to 400 degrees Fahrenheit. 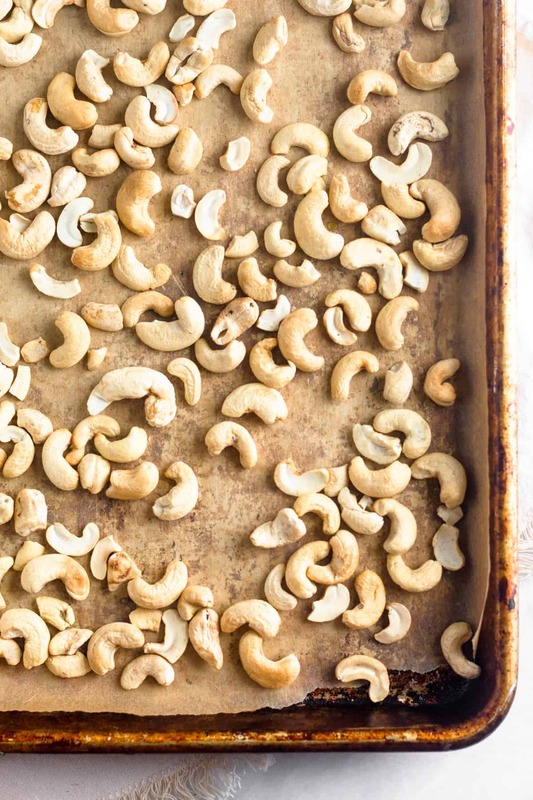 Line a baking sheet with parchment paper and roast cashews for 5 minutes until warmed and golden brown. 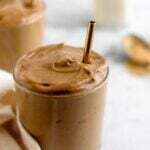 Add all ingredients to a Vitamix, high powered blender, or food processor. 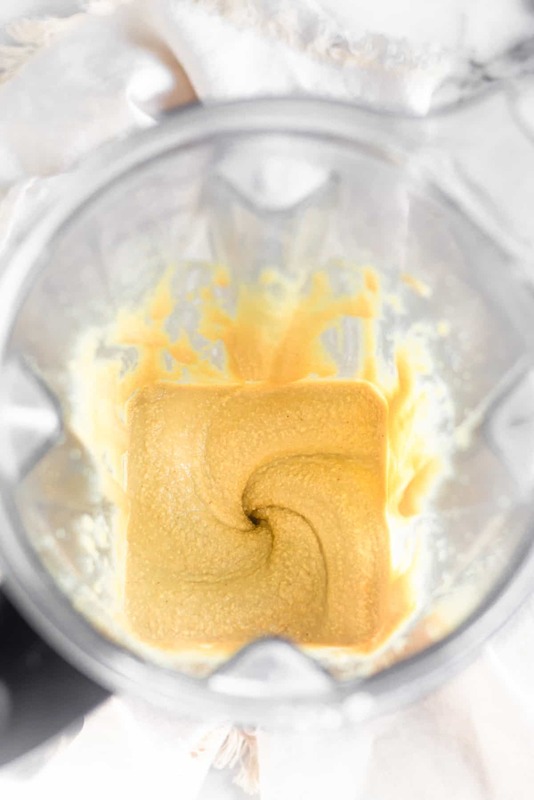 Process for 8-10 minutes (or longer depending on what you are using) until throughly combined and ingredients form into a smooth and creamy consistency. I used the tamper on my Vitamix to make sure everything was incorporated and stopping every so often and scrape down the sides. Store in an airtight glass container in a cool dry place. Enjoy! does this need to be refrigerated? how long does it keep? No, I usually keep mine in the pantry. But you could refrigerate to keep it longer. I have kept mine in the pantry for 2-3 months! hi kelly, reporting back after the fact. first i tried vitamix but contents so dry the motor shut off. next tried nutribullet…both blades…which did not move it at all. added additional 1T coco oil but no go. moved on to cuisinart which i had to do in stages to keep it from overheating. i would pulse awhile, let it run awhile, then stop and let it cool off awhile before starting process over again. finally it got to point where i could let it be…mixture was quite warm. curious what blender you were using. my mixture was just so very dry even with additional oil. finished product does not drip as yours is pictured, maybe if i had continued on…but not willing to risk burning out cuisinart motor! also thinking if cashews were roasted they would have blended easier than raw. anyway, interesting experiment. i figure i spent more $$$ on ingredients than the price of purchasing already made so I’m not likely to do it again, but i will enjoy this batch! hope to have better luck on other recipes, thanks for posting. What about doing this with activated/soaked cashews which I dry after soaking, would that work too or would it change the oil content of the nuts? Hey Cat! I think that would work if they are dried after soaking. I haven’t experimented with activated nuts, but from what I just read it sounds like they should be the same consistency after you soak and dry them. Let me know how it goes if you try!